Hong Kong director Fung Chih-Chiang has done more than his fair share behind the scenes having served as screenwriter for the likes of Stephen Chow and Johnnie To; After hits like Shaolin Soccer, The Mermaid and 2 Become 1, Fung paved the way directing nominated Hong Kong faves like The Bounty and Concerto Of The Bully, and Charlene Choi’s Golden Lotus nod, The Midas Touch. 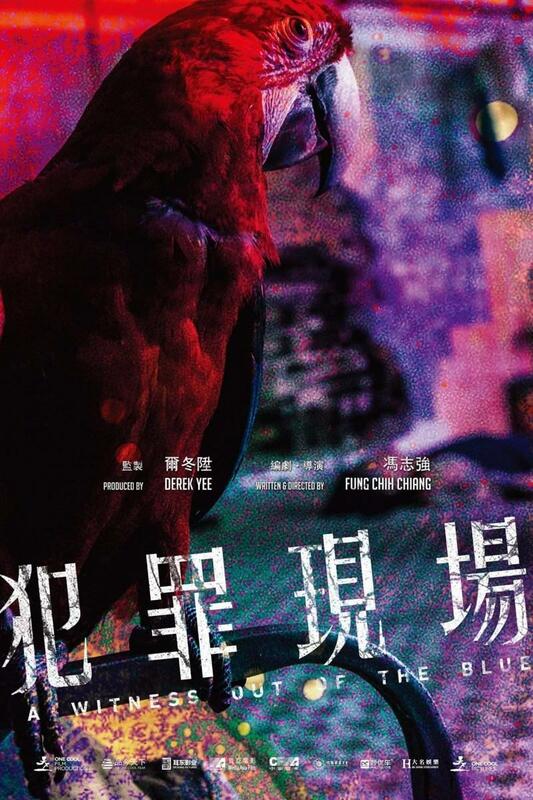 Back to make a certifiable killing, Fung’s latest looks to thrill audiences this year with A Witness Out Of The Blue which filmed between last Summer and Fall. Bringing Louis Koo on board in a starring capacity along with producer Derek Yee asserts this one got some attention with Koo’s One Cool Film banner making the rounds at FilMart in Hong Kong for the next few days as the actor commences promoting other projects, including ICAC-driven crime thriller franchise entry, P-Storm, and Ng Yuen-fai’s visual heavy metal action sci-fi, Warriors Of Future. 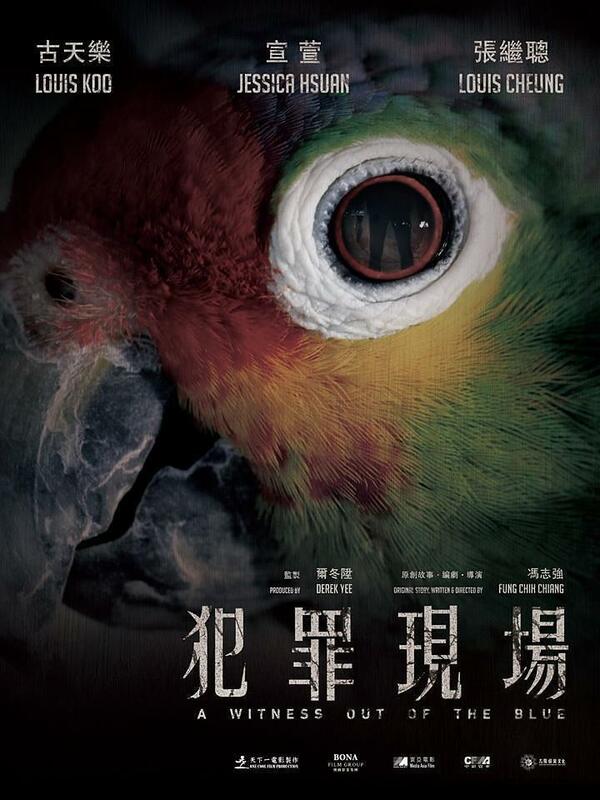 In this classic whodunit, a Police detective must rely on the only witness – a parrot, to catch the killer of an armed robber. Keep that premise in mind while you take into account the latest trio of posters just below, and you’ll see why it fits. I saw the posters first and had no clue what was happening, so this ought to put the pieces together some.